Tech Center: YouTube's new Experimental redesign: "Cosmic Panda"
YouTube's new Experimental redesign: "Cosmic Panda"
Popular video sharing site YouTube today launched a new experimental user interface (design) for YouTube code named "Cosmic Panda". In its first look it looks a lot different than the current interface. It has a totally new color scheme. It incorporates more of black around the video window. Once you're in the experiment, much of YouTube will look different, including videos, playlists and channels compared to what you are accustomed to see. The channel pages look good too. They look more wider and the new layout design shows information about the page in a much better way. 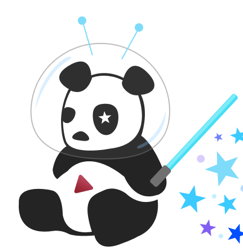 The Cosmic Panda experiment is available to anyone, click here to try it out for yourself. You don't need to worry, you can always opt out of it by going back to the same link anytime. In fact, you can switch back and again 'n' number of times. Overall the new interface looks really refreshing and pleasing to the eye, although some of you might have a different opinion, Feel free to share in the comments.